The Perro De Presa Canario breed dates back to the 15th or 16th century. the Presa Canario is thought to have originated from Mastiff-type dogs brought to the Canary Islands by Spanish conquistadores. This breed was used to guard livestock from predators. As the breed grew and spread, Presa Canarios became popular in many places as a fighting dog. Even after dog fighting was outlawed, they are often still used in illegal dog fighting. the Perro de Presa can be aggressive and uncontrollable if not properly trained or allowed a leadership position. This breed is not suitable for inexperienced dog owners or families with small children or other pets. The Presa Canario has a large and intimidating build with short pointed ears. They have dark eyes, accompanied with a dark nose, lips, and area around the eyes. they have loose fitting skin, especially around the neck. The Presa’s coat is short with no undercoat. Their hair can come in a variety of colors and patterns. 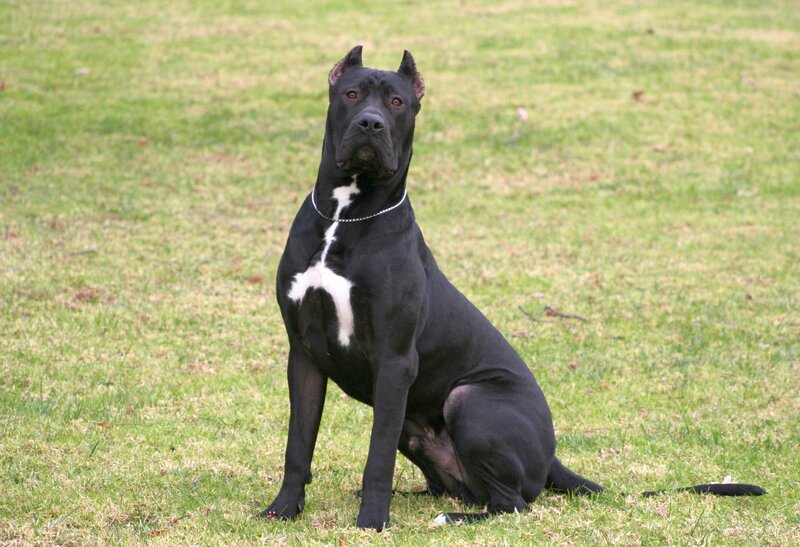 The Perro de Presa Canario needs a strong and authoritative owner. Socialization should begin at an early age. Do not play games with a presa that challenges your authority. When given a leadership position, they can become aggressive and uncontrollable. Always make sure your presa is supervised and secure. The Perro de Pressa Canario can be a good companion, for a the right person. They enjoy relaxing and being with their owner. Perro de Pressa Canarios need daily exercise to stay fit. Expect to dedicate one hour a day for walks and playtime.